Keep NVGs, optics, ammunition, and firearms accessories secure and accounted for in our lockable, fully welded cabinets. Welded cabinets are built around the concept of 4-post shelving — allowing for the same type of shelving optimization offered by Spacesaver’s open 4-post shelving systems, while also providing compatibility with UWR® accessories. The configurability of available lengths, widths, and heights creates a flexible cabinet that can be used in virtually any space. 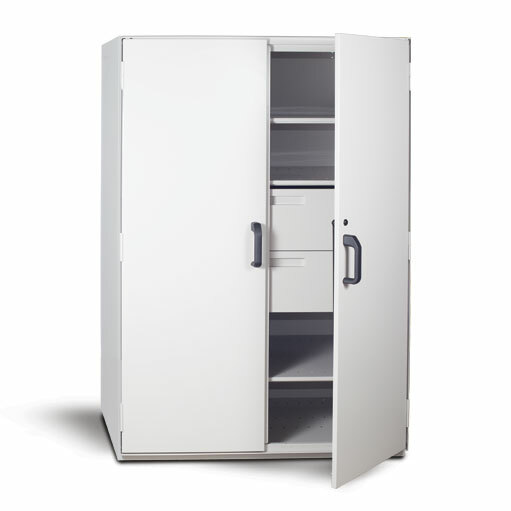 Equipped with solid back- and side-panels, these lockable cabinets can be paired with single- or double-walled doors to completely prevent visibility into the cabinet or framed window doors for visual inspections. Add drawers, shelf dividers, bins, and more to create the perfect cabinet for your needs. 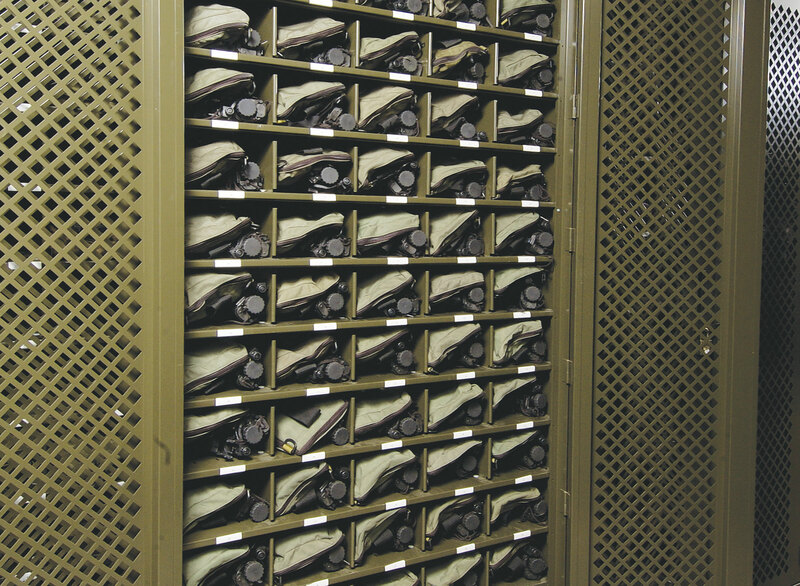 Learn more about Military secure optics storage.